We weren’t inside the venue. Since the venue was at the Mall of Asia Concert Grounds (open area), we decided to watch from the outside along with the team ‘Seaside’ (located outside the venue near the seaside), the hopefuls. We watched through the big screen, and it wasn’t so bad. We saw them, even when they walked along the runway that we get to see them through this small opening in the VIP section. I’m okay with it. I was satisfied enough. Don’t care if people judge me because I like this boy band. They don’t know their songs but I do. They don’t know how much I admire them. But I am not one of those obsessive die-hard fans that cry in a very overacting way when they see their idol. Beforehand, the 1D staff have told the public that Zayn Malik couldn’t continue with the shows because he has to fly back to UK. They released a statement saying that Zayn is stressed lately that he needs to rest. It said that he is stressed because some picture of him with a girl came out when they were in Thailand when actually he has a fiance, Perrie Edwards from the girl British band Little Mix. He couldn’t take all the mean stuffs that people throw at him. I find it very unprofessional. I mean I get it that he is a human being like us but he is a superstar. He has a duty to his fans. He disappointed alot of girls. Some of the fans outside even cried when they heard the part of the song that was supposed to be Zayn’s. They really cried, they really cried ugly. (No Offense) I just find it very disturbing. Then, I realized “(insert curse word) Zayn is not here” I found myself a little bit teary because I was annoyed. One Direction is here but without Zayn – Wrong Direction. 1. I hate that they always start a song by introducing the title, “Stockholm Syndrome, everyone!” – like element of surprise, please!?! 2. I hate it when they end every song, they shout “MANILAAA!! !” Then, the crowd goes wild. “This is one of the best gigs we’ve ever had!” And the likes… which you know that they always say in every single concert. 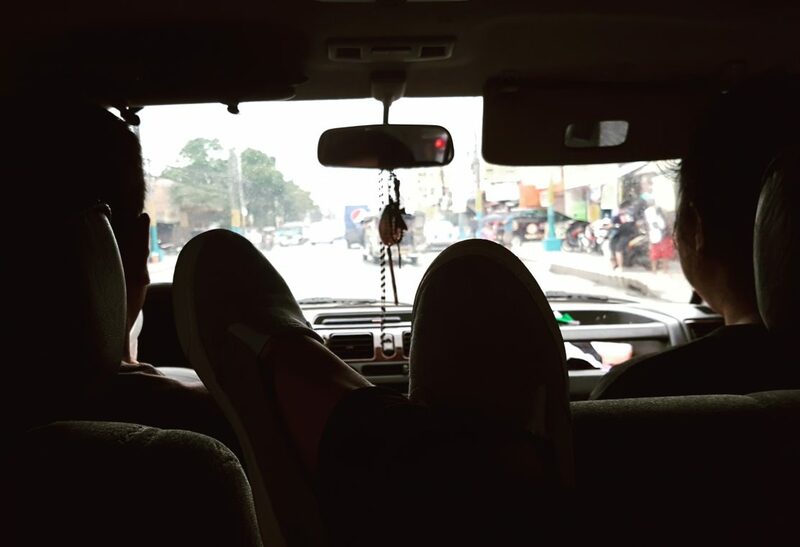 1.I love that One Direction is in Manila! 2. I love that they are so handsome! Not to mention, Harry’s Hotness, Niall’s Cuteness, Liam’s cockiness and Louis’ unique voice. 3. I love the staging – big screen and a long runway. 5. I love their British accents, especially Naill Horan’s adorable Irish accent. 6. I love how much they love their fans. 7. I love how the concert ended with a beautiful fireworks display. They are such amazing performers. I really love the way how they connect to their fans. They made them feel special like the concert was all about them. They made sure that their fans are loved especially when the group dedicated the song Where You Belong that Naill wrote. He wrote it to remind him that no matter how much success they have in life, they won’t forget where they belong; that all of these are made possible because of their endearing fans. The band ended the concert singing to the Best Song Ever, and everyone was like happy enjoying themselves especially when the wonderful fireworks began. It was a very unforgettable experience. A spectacular night, indeed. Even though I didn’t get to attend the concert, I’m glad that I was out there. We really enjoyed it. 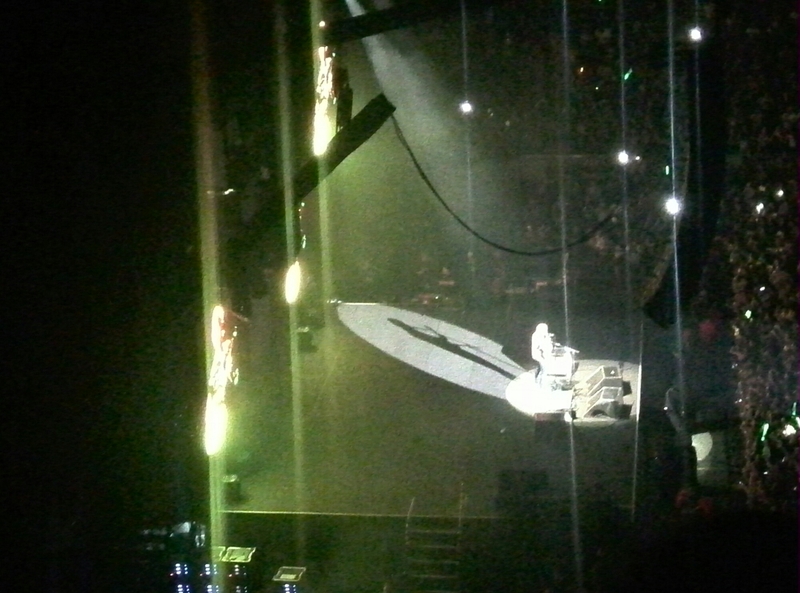 Ed Sheeran, the ginger-head singer from UK held his concert this 12th day of March. It was a sold out concert. There’s no surprise to it because Ed is considered as one of the biggest names in the music industry. He is a superstar. He brought his soulful pop music and gave inspiration to millions of people around the world. When you are given the opportunity, take it because you’ll never know when will you get another chance like it again. When we knew that more seats will be available for the concert, we really took the chance to watch the concert. Our dad was the one who went to the ticket outlet so early to fall in line and get us some tickets. Luckily and so fortunate, we got tickets out of the few more hopefuls and desperate ones. I wasn’t that excited a week or even days before the concert because my mind’s so occupied with school stuffs. It was just the day before that I realized I don’t have any to wear. 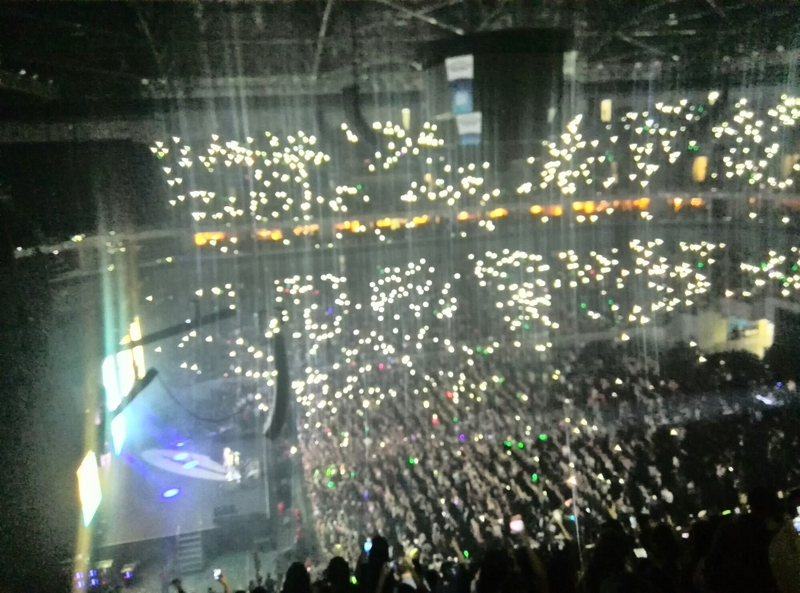 The concert was on a Thursday, a school day, so we just went straight to the venue coming from school. 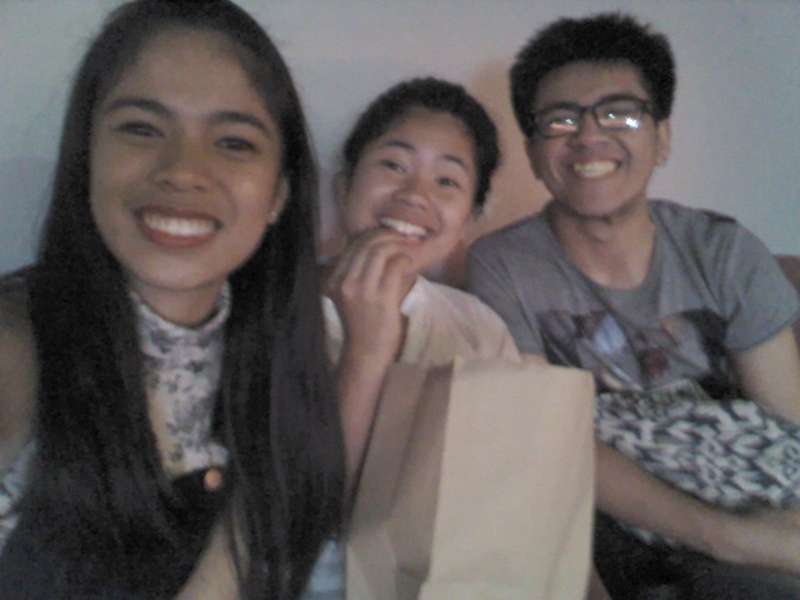 When we got into our seats, we realized that we were really one of the hopefuls and desperate ones. Our view is where you are literally already few feet from the ceiling and your head can lean on the wall. 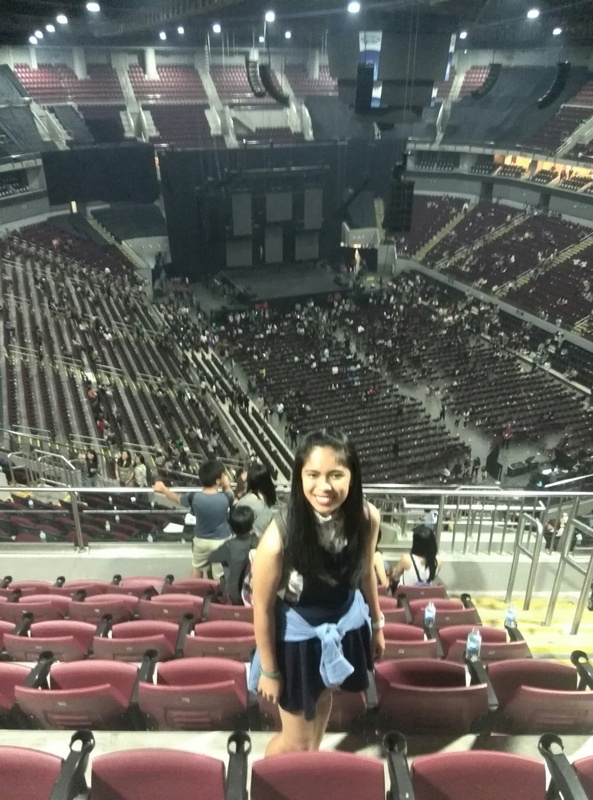 That’s how far we are from the stage, compare to our seats when we watched The Vamps in Manila last February 1. Well, nothing of it matters as long as we are in the place where in a few minutes Ed Sheeran will serenade us with his amazing songs. The concert was so simple but beautiful. He just went up the stage and just did his own thing – with his guitar and his loop pedals. He is such an amazing performer. When he started singing, I was overwhelmed, and so were the thousands Sheerios there. I literally want to cry so bad because I can’t believe it’s Ed Sheeran!!! He made us fall inlove. He captured our hearts especially when he sang one of my favorite songs, Photograph that the fans started flashing their lights. And it was bright and beautiful. 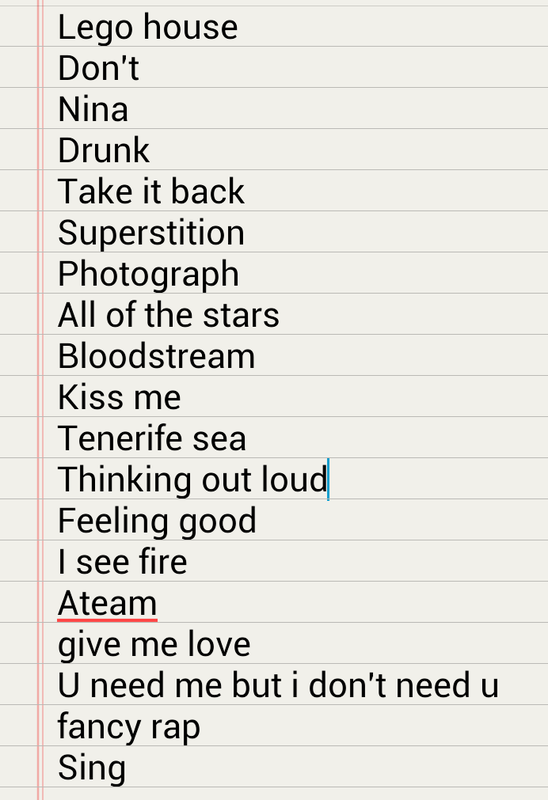 I list down all of the songs (I might have missed one or two songs). 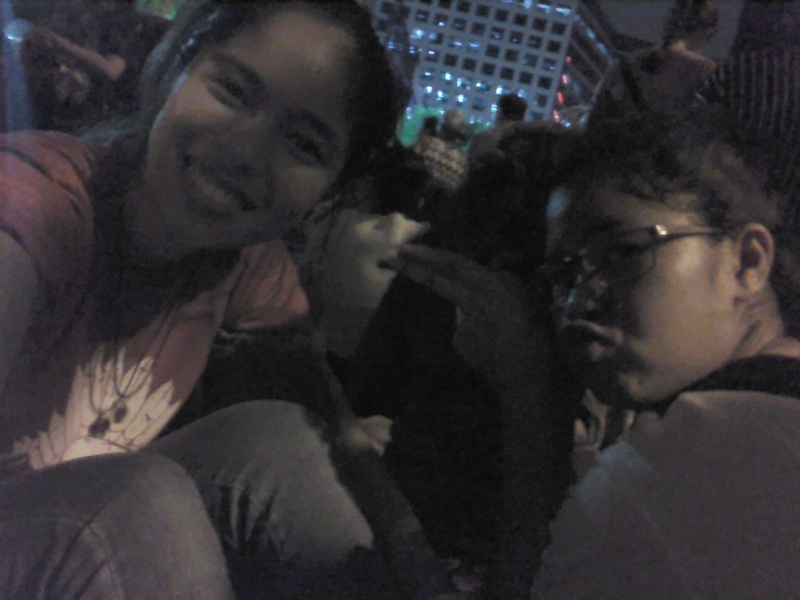 And I’m so glad that I got to share it with my concert buddy, my sister, and her bestfriend. Even though Ed left us hanging with his last song – us singing the ‘oh-woah-oh’ part of the song Sing and clapping our hands – and then he just walked off the stage, I will still forever love him and his music. 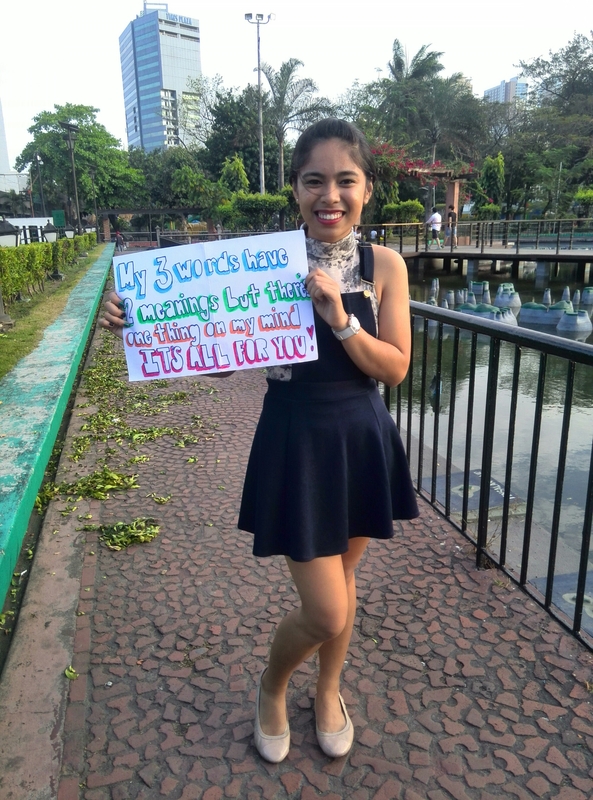 Last February 2, 2015, the indie band called ‘The Vamps’ had their concert here in Manila, Philippines. It was held at MOA (Mall of Asia) Arena. My sister and I attended the concert and it was so much FUN 🙂 She has been the best concert buddy – ofcourse, because we are sister and she is the only person that I’ve ever been with to concerts (Justin Bieber & American Idol Season 11). Oh and my Dad, too when we attended AI concert. The Vamps are just new comers in the music industry, and not to mention, British cuties 🙂 The first song I have ever heard of them was Somebody to you ft. Demi Lovato. I just thought their music was cute. I didn’t think I would fall inlove with them because I was liking 5 Seconds of Summer that time. Well, their different from 5SOS. They play Indie songs while 5SOS plays pop/rock songs. That’s why I love them both. I love all of the members of the band. But who me and my sister really love is Connor Ball ❤ 🙂 I thought he is the mysterious type, kind of a bad boy look but you know chilling type. And he also has these light blue eyes. Then, we found out that he is the sweetest of all. He’s kind and he always smiles 😀 than the others do. Because we loved the experience, I kind of tried to made a video blog out of it. Check it out!